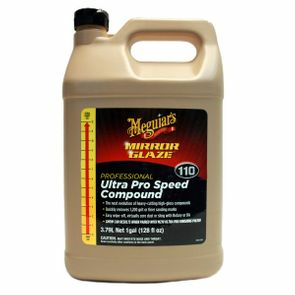 Meguiar's M11032 Ultra Pro Speed Compound - 128 oz. Home > Shop by Brand > Meguiars Car Care Products > Meguiars Mirror Glaze Car Care Products > Meguiar's M11001 Ultra Pro Speed Compound - 128 oz. Meguiar's M11001 Ultra Pro Speed Compound - 128 oz.